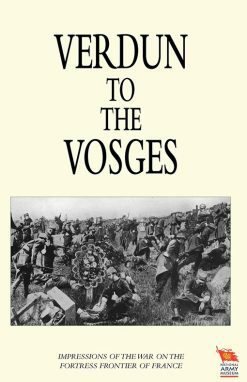 An insightful examination the battle of Verdun in the context of the Great War from 1914 to 1916. It is not just a retelling of the battle, but an explanation of how the situation developed and the importance of Verdun. Also included is the role of forts and fortifications and why they were virtually abandoned before the battle began. This a a very good study in the English language, on a neglected but important subject. Wrapped in myth and distortion, the Battle of Verdun is one of the most enigmatic battles of the Great War, and the controversy continues a century later. Before the battle the Germans believed they had selected one of the strongest points in the French defences in the hope that, if they smashed through it, the French would collapse. But Verdun was actually a hollow shell since its forts were largely disarmed and the trench lines were incomplete. So why did the Germans fail to take Verdun? As well as seeking to answer this fundamental question, the authors of this perceptive new study reconsider other key aspects of the battle – the German deployment of stormtroopers, the use of artillery and aircraft, how the French developed the idea of methodical battle which came to dominate their military thought after the war. 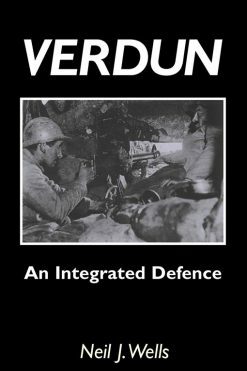 They look too at how Verdun brought about a renaissance of fortress engineering that resulted in the creation of the Maginot Line and the other fortifications constructed in Europe before the Second World War. BYGONE PILGRIMAGE. 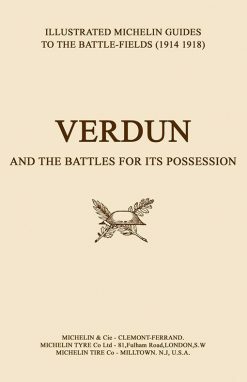 VERDUN and the Battles for its Possession An Illustrated Guide to the Battlefields 1914-1918.